GSAT-6A is an advanced S-Band communications satellite built by the Indian Space Research Organization for operation under INSAT’s communications satellite fleet, primarily for use by the government and military while also serving as a technology testbed for mobile communications and improved network management techniques. Built on ISRO’s I-2K platform, GSAT-6A is a close copy of the GSAT-6 satellite launched in 2015 and delivers a combination of wide-beam C-Band and high-capacity S-Band spot beam coverage. 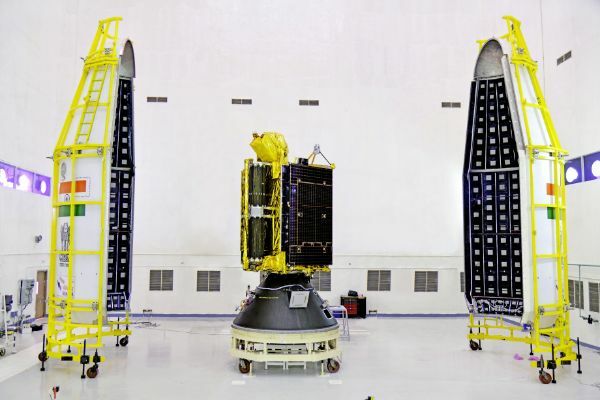 GSAT-6 was launched by the GSLV Mk.II D5 mission in 2015 as India’s second satellite for strategic communications, following up on the Navy’s GSAT-7 communications satellite orbited in 2013. 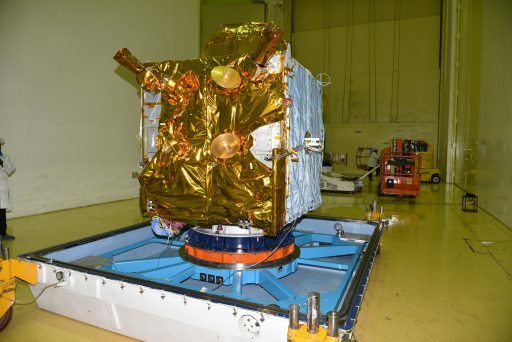 The GSAT-6 mission introduced a number of new elements including a large deployable S-Band antenna reflector and the interconnection of S- and C-Band up/downlinks to deliver mobile coverage as well as high-capacity backhaul for larger terminals and gateway beams. 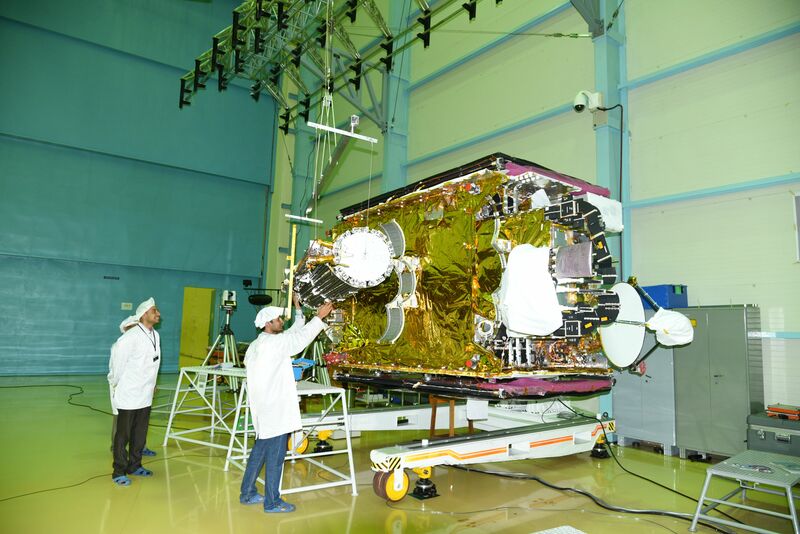 GSAT-6A is a near carbon copy of the GSAT-6 satellite to increase S-Band capacity and ensure continuation of services into the second half of the 2020s. 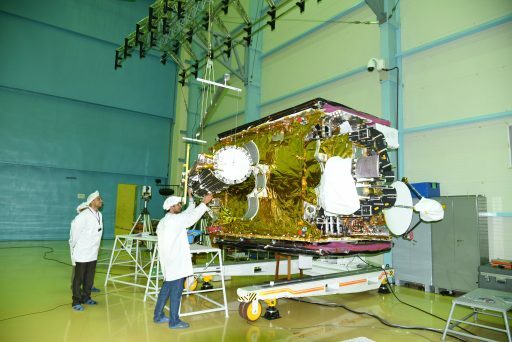 Weighing in at 2,140 Kilograms, GSAT-6A utilizes ISRO’s I-2K platform, a six-meter Unfurlable Antenna Reflector for S-Band up and downlink and an 0.8-meter deployable C-Band reflector to carry the wide-beam up/downlink. S-Band is employed to connect mobile terminals to the GSAT-6A satellite while the C-Band system carries the up/downlink between the satellite and its hub stations in India. The six-meter S-Band antenna is the largest in-space deployable launched by ISRO to date, employing a lightweight structure of a perimeter truss segment which can fold-out like a camping chair and offers stability through a series of cross-beams between the two perimeter tiers that hold in place the metal mesh serving as reflective area and supported in a parabolic shape. The S-Band system generates five spot beams over the Indian main land employing the frequency reuse scheme to increase the efficiency of the spectrum utilization. The communications payload of the satellite consists of five 9 MHz C x S-Band transponders generating five S-Band spot beams for downlink while the uplink is carried via C-Band from a hub station in India. Five S x C-Band transponders, each with a bandwidth of 2.7 MHz, receive their uplink in S-Band from mobile user terminals and downlink their communications to ground stations in C-Band. 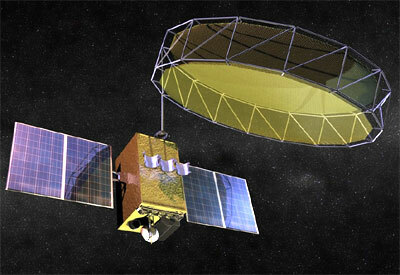 The satellite’s Telemetry & Telecommand system uses a C-Band solution from heritage ISRO programs. The satellite measures 2.1 x 2.5 x 4.1 meters in size when in its launch configuration, expanding into an envelope of 9.4 x 9.6 x 6.1 meters when deploying its two-power generating solar arrays and the antenna reflectors. Its two solar arrays, each comprising two hinged panels and a solar tracking mechanism, deliver an end-of-life power of 3,150 Watts via Ultra-Triple Junction Ga-As solar cells, feeding power to 16-cell Li-Ion batteries with a capacity of 100 Amp-hours. 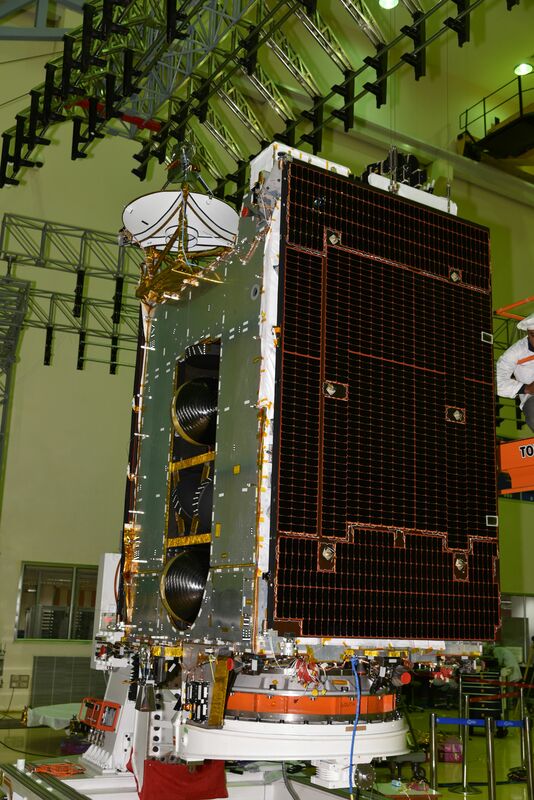 The upgraded power architecture of the GSAT-6 series employs a 40-Volt power bus for the platform systems based on GSAT heritage and a new 70-Volt architecture serves the payload via a regulated power bus. GSAT-6A employs a Unified Bipropellant System comprising two large propellant tanks, manifold systems delivering storable propellants to the thrusters and a propulsion system built around the 440-Newton Liquid Apogee Motor used as main engine and 16 attitude control thrusters for three-axis stabilization during maneuvers and orbital fine tuning/stationkeeping. The total propellant mass carried by the satellite at liftoff is approximately 1,135 Kilograms. The standard propulsion package used by a number of ISRO satellite projects uses the trusted Liquid Apogee Motor for apogee-raising maneuvers while eight 22- and eight 10-Newton thrusters are used for attitude maneuvers and stationkeeping in Geostationary Orbit. All three engine types use hypergolic propellants, MON-3 oxidizer (Nitrogen Tetroxide with 3% Nitric Oxide) and Unsymmetrical Dimethylhydrazine as fuel. 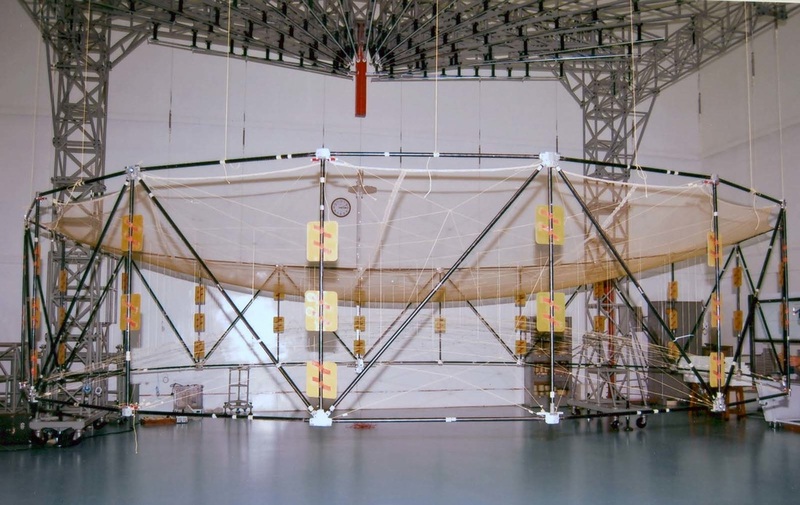 Tank pressurization is accomplished by using high-pressure Helium. 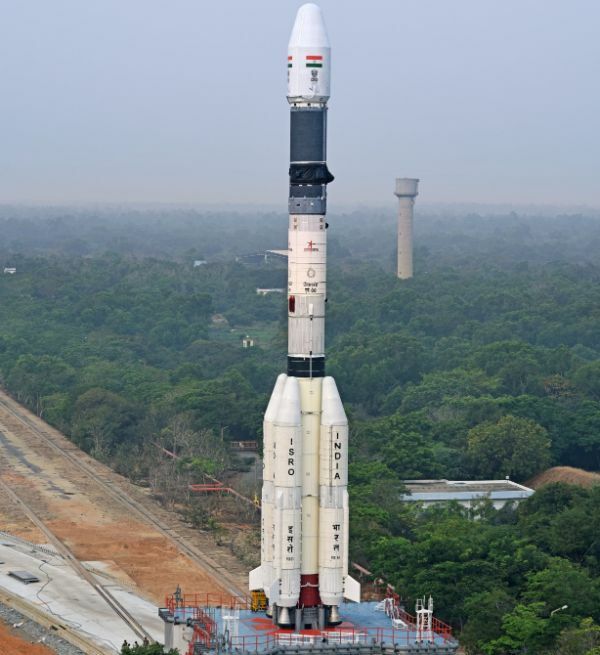 Copyright © 2019 GSLV – GSAT-6A | Spaceflight101. All rights reserved.